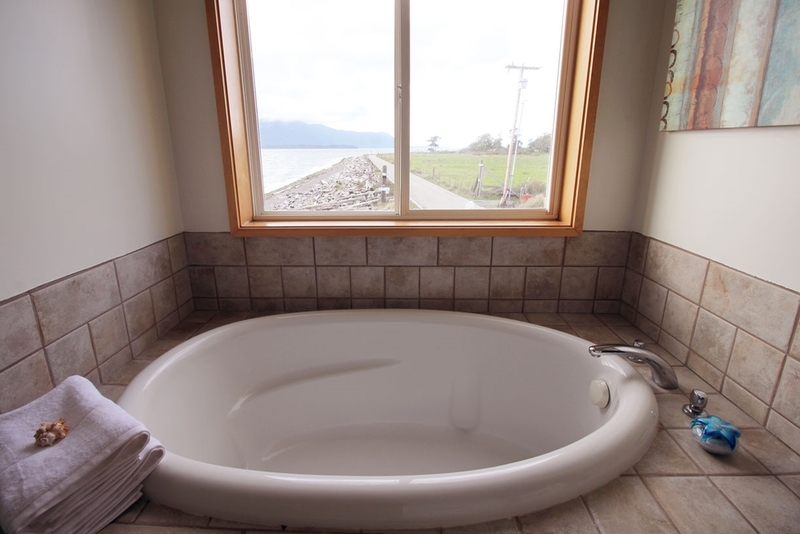 This is one of Lummi Island's finest vacation rental homes. A 2,500 square foot home built on the waters edge with 4 bedrooms and 3 bathrooms. Three of the bedrooms open onto private decks. The Marina House can accommodate up to 10 guests. Inside, the luxury kitchen, dining area, and large comfortable living room merge into a perfect place to enjoy each other and claim your own comfort corner. 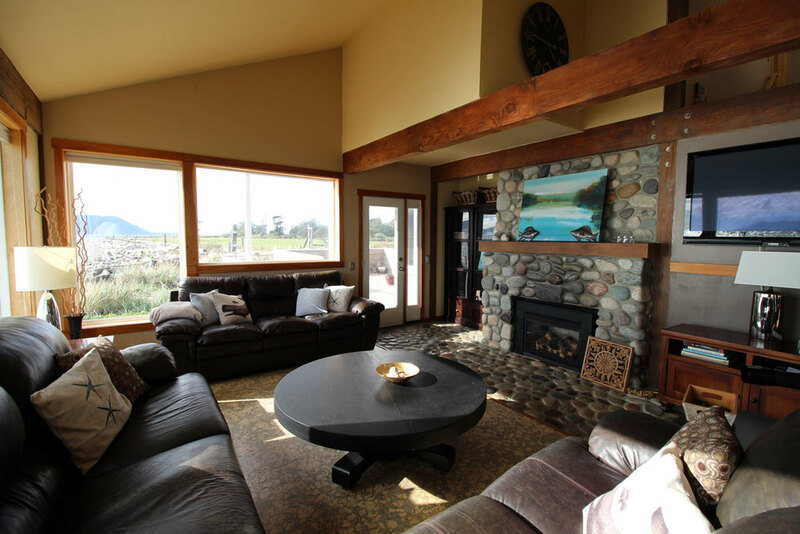 Beautiful views of Rosario Strait and the San Juan Islands beckon from every window in the house. Outside there is 250 feet of private pebble beach perfect for finding agates and other colorful stones. Marina House includes a gazebo leading to a boat dock. A separate boat launch, regulation bocce court, fire pit, and extensive deck space are all included when you stay here. 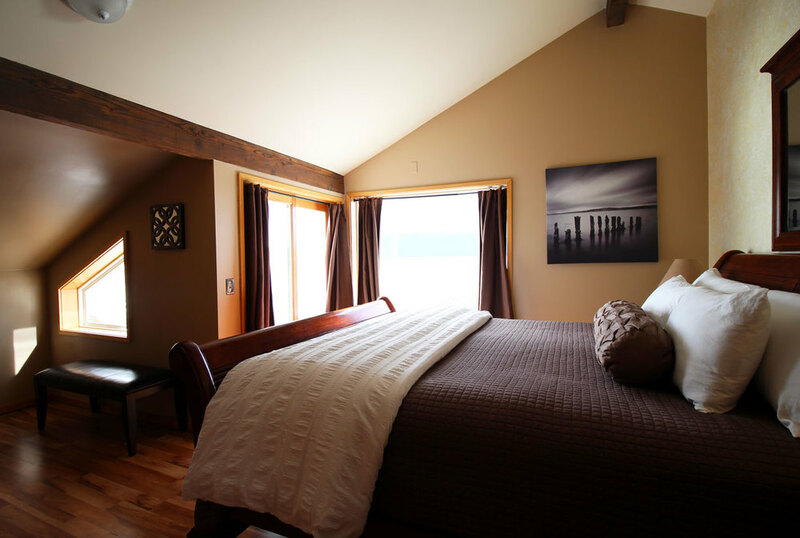 Upstairs, two large bedrooms with king-size beds and private desks. The master bedroom also has an extended bathroom with deep tub. A third upstairs bedroom expands with a trundle. 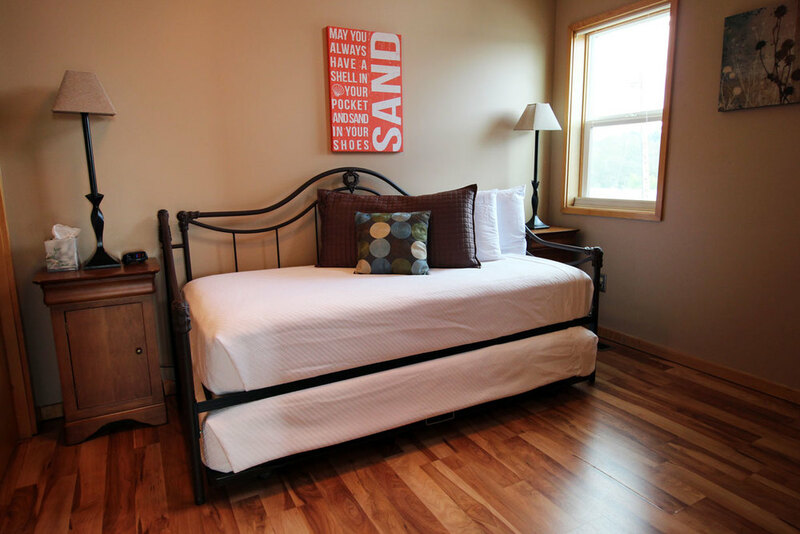 The bedroom downstairs has a queen-size bed and direct deck access. A couch in the living room can also convert into a bed.